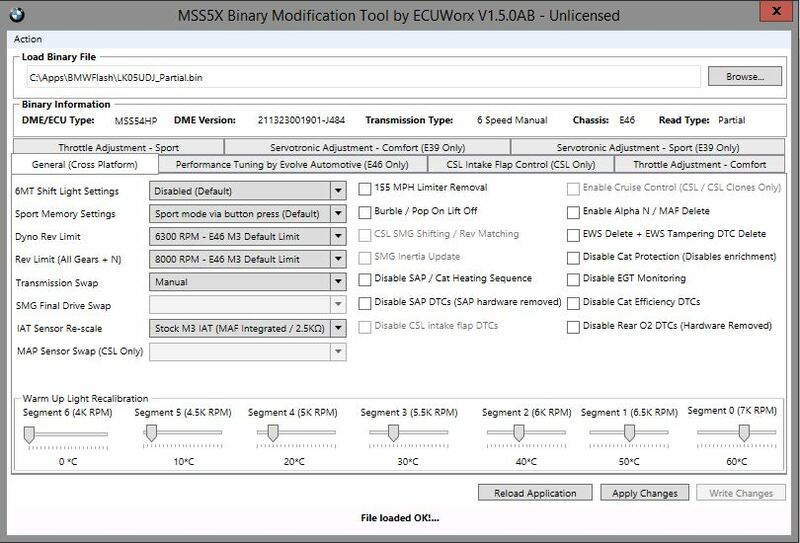 I'm pleased to finally announce that development and testing of the BMW E90/E92/E93 M3 Binary Modification Tool is complete. The tool is now ready for release! Congrats on the release. Looks like another fantastic tool. Thank you for developing this to make things easier for community. In the future will other options be added to the software like they were on the E46 platform? The MSS5X binary modification has been one of the greatest developments of recent years. It has made it so the only responsibility of tuners is tuning, instead of silly options. 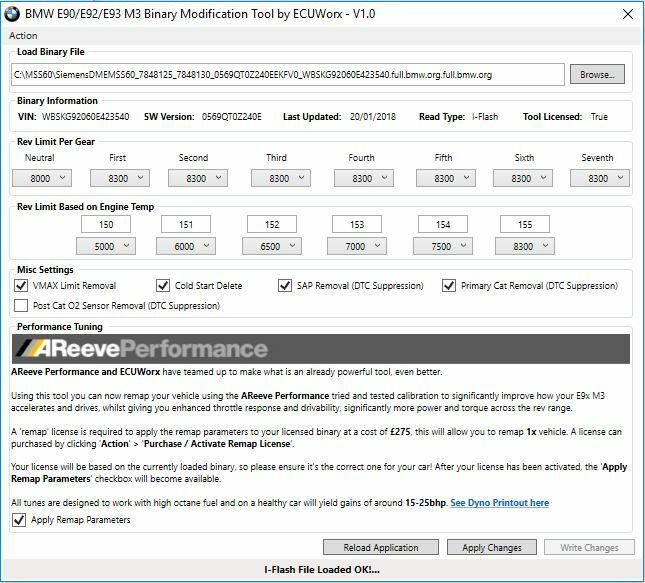 This software makes it so by just checking boxes or moving dials (noob level skills required), you can do things like remove top speed limiter, change the redline, delete secondary air pump, remove CELs for various removed systems. All the BS stuff that tuners uncharge you for, generally, that's nothing for them. That way, all they have to focus on is actual engine tuning. So you read your tune, open it with the tool, make your changes with noob proof interface, flash it back on the car. So suppose someone already had a tune but moved to Mexico. For whatever reason, they don't want to have a sensor not ready even though Mexico doesn't do emissions testing. Could they either force readiness or delete the secondary O2 sensors entirely from the ECU? So instead of having 7/8 ready they'd have either 8/8 or 7/7? That's how it works on the MSS5X tool. I've never tired the MSS6X tool, so can't say definitively. All times are GMT. The time now is 06:24:38 AM.